Chicken is a staple of American diets: a flexible and a relatively affordable source of protein. But now, the Securities and Exchange Commission is looking into whether chicken should be even more affordable, officially investigating a lawsuit filed in September of last year alleging that America’s largest chicken producers have been colluding to drive up prices for years. 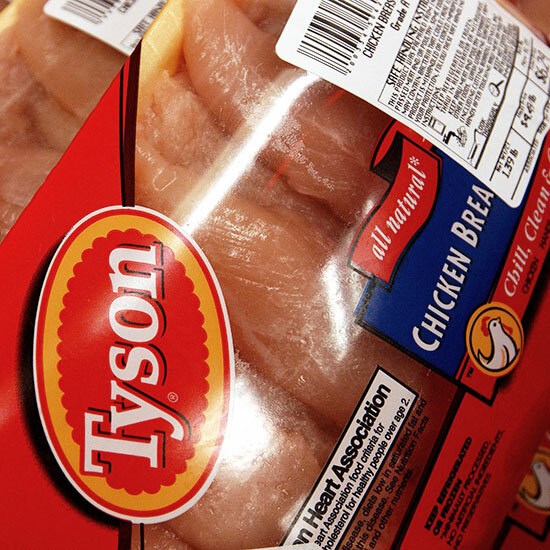 Tyson Foods is one of six chicken producers named in the suit – that group makes up about 90 percent of all chicken sold in the US. All the companies involved deny any wrongdoing, and despite Tyson’s recent admission that it’s under investigation, according to Bloomberg, Tyson CEO Tom Hayes reiterated that his company wants to defend itself in court. As Bloomberg explains, the American chicken industry has changed significantly over the last 40 years: Per capita chicken consumption doubled in that time, reaching $90 billion in spending last year; meanwhile, major consolidation over that period shifted production from family-owned farms to mainly just a handful of massive multibillion-dollar companies. That consolidation has apparently come with a number of issues. Just last week, a similar list of large chicken producers, including Tyson Foods, was named in another lawsuit, this time coming from US chicken farmers, alleging these companies colluded to keep farmers underpaid. That case was filed on January 27 and is still in early stages. As Modern Farmer points out, plaintiffs in are accusing the massive companies of acting like a cartel. You know, sometimes it seems like a multibillion-dollar chicken producer can’t catch a break.